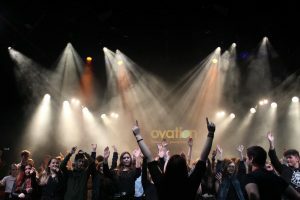 Well done to everyone who took part in the Ovation Rock Show at the Minerva Theatre. Our youngest musicians and singers are just 9 and they held their own amongst older and more experienced performers. 96 children and young people, many of whom have not performed before, played to 750 people over three live shows! Jazz, Rock, Indie, Pop, Blues, Soul, Funk, and Metal, it was all there! Very well done to all!